‘Stunning’ is often the word used to describe our latest Aluminium Prints. Deep, vibrant and punchy colours shout out and make any image a real statement piece. This affordable and lightweight aluminium alternative to acrylic wall art has a high-gloss, durable and waterproof finish, making it the ultimate high definition wall display. 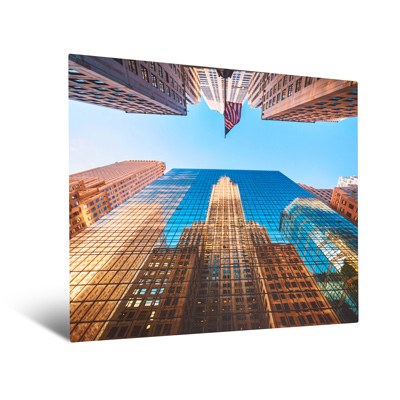 Through a sublimation process, images are infused directly from sublimation paper onto specially coated sheets of aluminium photo panels with exceptional quality and resolution. Each panel is 1mm thick with rounded corners and supplied ready to hang, the hanger holds the print 15mm from the wall. Supplied complete with White Gloves and alcoholic wipe. We recommend using images in an Adobe 98 or Pro Photo colour space for best results.